Ever since early cave dwellers painted a visualisation of the world around them, humans have had a fundamental need to socialise and communicate with others, to transfer a common understanding of states past, present and future between them. Body language and the spoken word were the early protocols to achieve that transfer and understanding, developing into the written word by recording linguistic communication, in many different ways and forms, to give us the modern languages in use around the world today. The historical pathway of counting, numbers, arithmetic and mathematics also spans many ages, but the same transformation from the abstract to an enduring record of that representation, which can be distributed to achieve common understanding, exhibits the same evolutionary sequence. Fast forward to today, where those involved in trading still have a cave and now have a fundamental need to socialise market intelligence, which is achieved in pictures and less in numbers by increasingly powerful visualisations. The less than 100 year old idiom "a picture paints a thousand words", is a phrase those cave dwellers would have had a primal understanding of, if only they had the language to say it. We are in a new age of visualisation, of transforming complexity into visual simplicity, as the gap widens into a gulf between the ability of humans to track the virtual workings of advanced computing, artificial intelligence and machine learning. How we "understand" the output produced by literally eye-watering computations, will be driven more by infographics than pure tables, presented in ways that trigger us to add more of our own virtual narrative in our own minds, based on what we are seeing. After all, it is the communication of a unified understanding of a state past, present or future that is the goal, a goal of truth, which today is challenged not only by extreme amounts of data to analyse, but also by the more frightening reality distortion mechanisms that pervade our social world. Consensus of the truth is lauded by blockchain technology as the fundamental basis of trust upon which transactions can rely to be executed upon. That consensus is determined by the sheer volume of endorsement confirmations given by interested parties, enough to be confident that their counterparty trade is protected, their version of the truth, which is all that counts in that context. As we advance technology into new territory, we may have to come to terms with handling multiple versions of the truth, and accept it for what it is, after all we all carry personal and unique versions of reality that we rely on every day. The fundamental desire to communicate through abstract representations has been fully exploited by most software and workflow applications over many decades, where the freedom of the on-screen pallet has connected directly to the outflow of abstract thought into digital record, into a container that can be manipulated, transformed and shared with others to achieve the nirvana of unified understanding, or at least providing the desired version of truth to be distributed. The development of the user interface (UI) has itself seen many eras of change, from punched card, typed instructions, stylus taps and mouse clicks of the last Millennium, to this Century's forefinger smudges and voice commands that actually work. 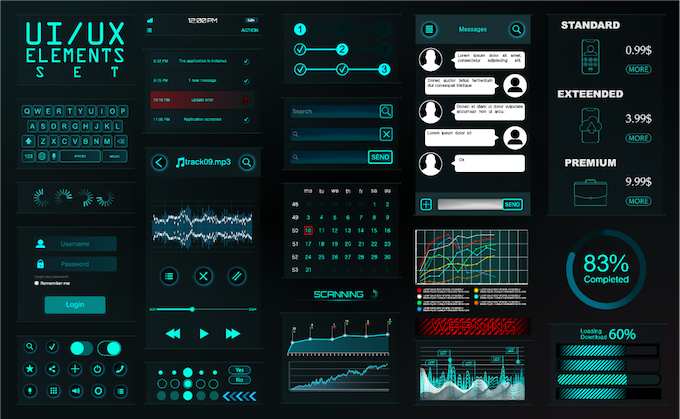 UIs have developed not only in their on-screen design, but also around the method of interface, both attributes contributing to the overall User Experience (UX), which for some time now, has been a design discipline in its own right. The latest workflow solutions acknowledge that many existing UIs, proven in widespread use for many years and some over decades, cannot really be improved, as their core design is maturely optimised for effective use, matched closely with the way in which the human form is best placed to do so. However, the innovation and technology action is taking place mainly under the hood. The many benefits of cloud computing have been harnessed well, connecting individual documents to central data sources and managing the collaboration of many users within that document, linking teams in a way that was either too costly or too clunky to achieve before. This new connectivity management enables enterprise risk control across many potential areas of failure in what is a genuine multi-user, multi-geographic and multi-functional level of implementation. For those who have been there before, this sounds like another full cycle back to client server-based architecture, only this time the servers are without limits and the connectivity bandwidth is plentiful and resilient, in other words, a technologist's heaven! In data management, the client server model offers much more opportunity for data quality control, a major part of risk management regimes, without losing user level flexibility to efficiently handle and resolve workflow issues. This user level empowerment is an overused and often undelivered claim by firms wishing to conform to corporate benchmarks, but undoubtedly, these considerable advances in connecting technologies can, finally, underwrite such claims and can marshal end user talent much more effectively than ever before for the mutual good of the employee and the enterprise, to freely paint the world around them.